Located just off Liverpool Street in Old Broad Street in the City, The Lord Aberconway is named after the last chairman of the Metropolitan Railway Company, operator of the world’s first underground railway (keep an eye out for our extended piece on the history of the Underground later this week). Charles McLaren – Lord Aberconway – (1850-1934) was a landowner, industrialist and MP who was raised to the peerage in 1911, a year after he had left the House of Commons. He served as chairman of ‘The Met’ from 1904 to 1933. 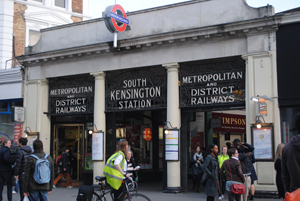 While the current building – the interior of which features booths and an L-shaped bar – dates from the 19th century, there has been a pub on the site, close to Liverpool Street Station, for much longer and its previous names included the King and Keys and the Metropolitan Railway’s ‘Refreshment Room’ and ‘Railway Buffet’. The pub, which stands not far from the Monument commemorating the Great Fire of London, is reputed to be haunted by victims of the fire (only four people are said to have officially died in the blaze but it’s believed the death toll would have actually been much higher). You’re more likely to see city traders there however. The pub is now run by the Nicholson’s. 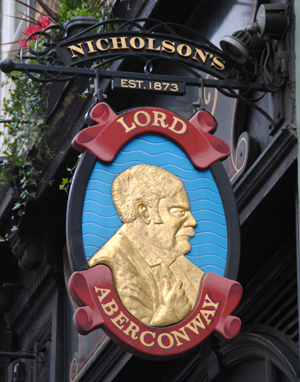 For more on the Lord Aberconway, see www.nicholsonspubs.co.uk/thelordaberconwayliverpoolstreetlondon/. 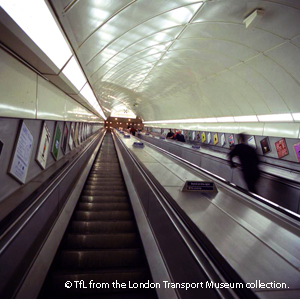 • London will this weekend celebrate the 15th annual Thames Festival, billed as the city’s “largest free festival”. The two day event includes a giant shipwreck sculpture outside City Hall (created with the aid of students from 100 London schools), barge races and a parade of more than 100 boats on the Thames, a wide array of musical and street performances (these include a mass choir of 700 school children and a performance in which the HMS Belfast is used as a percussion instrument) and an illuminated Night Carnival culminating in fireworks. More than 800,000 people are expected to attend the event which takes place at a range of venues stretching from the London Eye to Tower Bridge. Other highlights include the annual Feast on the Bridge on Saturday during which Southwark Bridge will be closed to traffic, Korean Taekwondo displays, a food market and an exclusive cruise on the Thames hosted by the likes of historian David Starkey and the creators of cult children’s character Rastamouse. River boat operators, meanwhile, are offering 2-for-1 tickets for the weekend to help people make the most of the festival. For more information on the festival, see www.thamesfestival.org. For more on the 2 for 1 tickets, see www.tfl.gov.uk/river. • Regent Street and surrounds will be buzzing tonight with more than 40 shops, bars and restaurants taking part in Vogue Fashion’s Night Out. The event, which is running for its third year in London, will see many stores remaining opening until 11pm and feature special events and promotions. The night is part of a series of nights being held in countries across the globe – from Russia to Brazil, Australia to Spain. For more information, see http://fashions-night-out.vogue.co.uk. 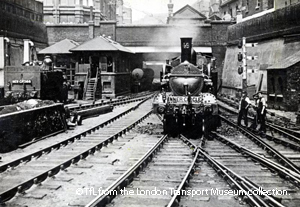 • An art deco Tube train dating from 1938 and the Sarah Siddons, the last operational ex-Metropolitan Railway electric locomotive will be running between Harrow-on-the-Hill, Rickmansworth and Amersham this Sunday as part of the Amersham Old Town’s Heritage Day. Other activities include a best dressed competition showcasing retro fashions, a free heritage bus service, including rides on the Routemaster RM1, street performances including a Punch and Judy show and clowns, and “object handling sessions” at the Amersham Museum. 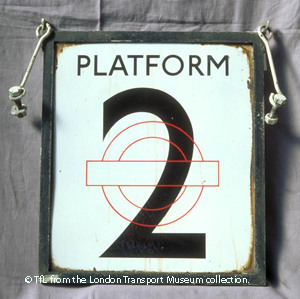 For more information, see the London Transport Museum’s website here.